George Tiller, a doctor at the heart of the abortion debate, was shot and killed today while attending church in Wichita, Kan. The Wichita Eagle was one of the first media outlets to report that the 67-year-old Tiller was gunned down just after 10 a.m. this morning in the lobby of the Reform Lutheran Church. Witnesses and a police source confirm Tiller was the victim. "This is going to be a larger search than probably maybe just Wichita that we&apos;re looking for this individual. So we&apos;ve got the resources coming in to help us with this investigation." Tiller rose to national prominence because his Wichita clinic, Women&apos;s Health Care Services, is one of the few in the country that perform late-term abortions. The clinic has repeatedly been the target of protestors for more than 20 years, including some vandalism earlier this month, and a bombing in 1986. This is not the first time someone has tried to kill Tiller. He was hit in both arms during a 1993 shooting at the clinic. "We are shocked at this morning&apos;s disturbing news that Mr. Tiller was gunned down. Operation Rescue has worked for years through peaceful, legal means, and through the proper channels to see him brought to justice. We denounce vigilantism and the cowardly act that took place this morning. We pray for Mr. Tiller&apos;s family that they will find comfort and healing that can only be found in Jesus Christ." "We&apos;ve got several people going downtown This is going to be an investigation that is going to take a little while to get some of that information out." 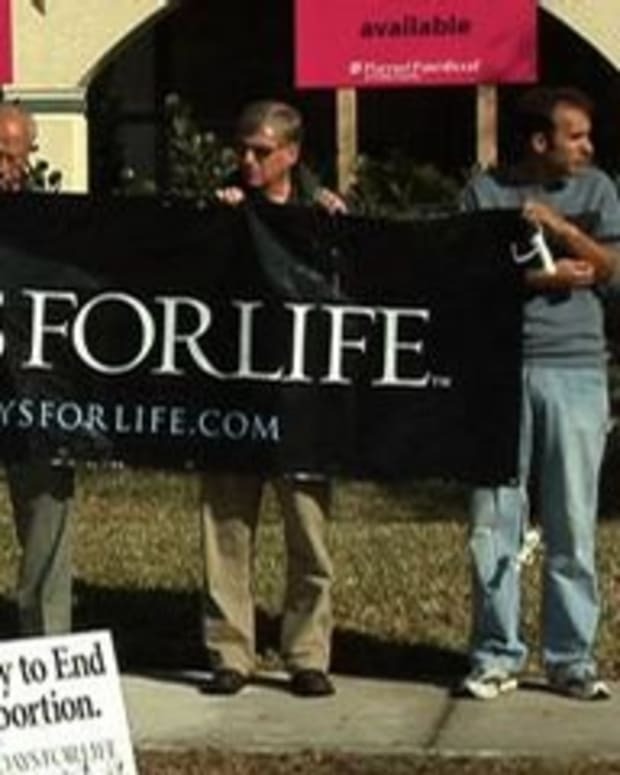 Will George Tiller's Murder Impact Abortion Debate? What About George Tiller's Late-Term Abortions?